When people think of microwave ovens, it is most often that they think about it as a way to reheat their meals. While it does very well in reheating food, only a few would dare to cook their food in a microwave oven. Most of them are afraid that they may put in the wrong setting and as a result, have burned food instead. A better understanding of the microwave settings would definitely take off the fear that bothers most people in cooking with a microwave oven and gain more confidence in cooking quick and easy meals. 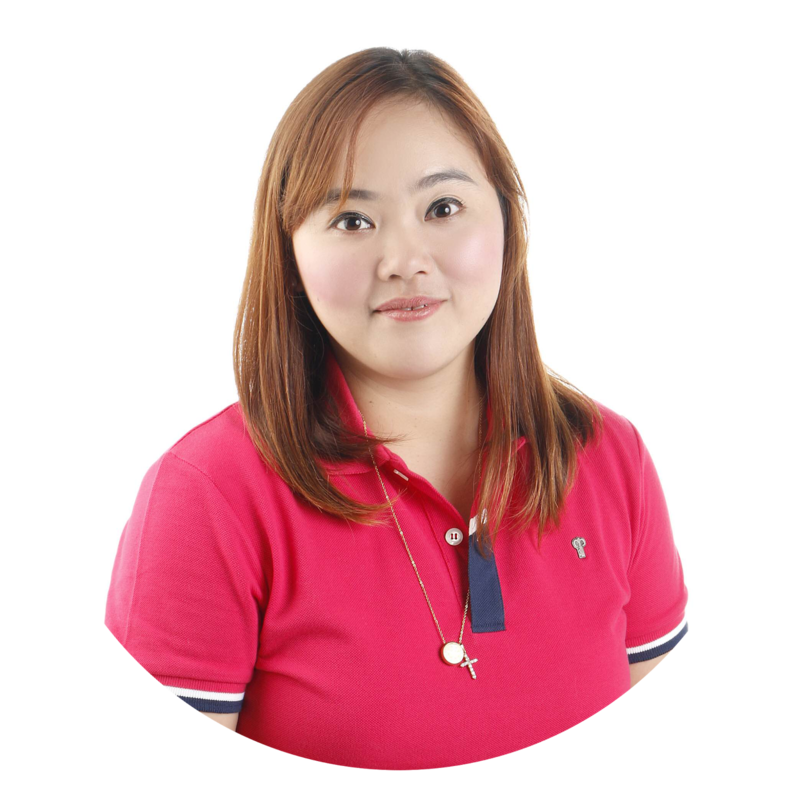 Midea, one of the world’s largest manufacturers of home appliances, understands such challenges for those relying on the wonders of a microwave oven and those who are living a fast-paced lifestyle. Midea is all about surprising their customerswith home solutions that are very easy to use and give them the confidence in using these products in their everyday life. With all the quick settings at a push of a button, cooking meals in a microwave oven has been made very easy— from their favorite bacon and eggs breakfast and a hearty mac n’ cheese meal. Not most people know though, that they could also bake with a microwave oven, and Midea has one simple baking recipe that everyone can do. 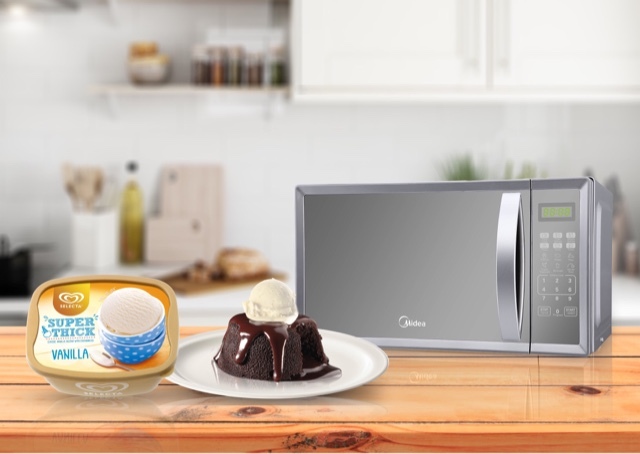 With the help of Midea’s Microwave Oven, people can nowenjoy a chocolatey molten lava cake in just minutes, from preparation to cooking. All they have to do is to prepare the ingredients – Cake Base, 60g All Purpose Flour, 45g White Sugr, 45g Cocoa Powder, 1 pc Egg, 45ml Milk, 30ml Canola Oil, 15ml Melted Butter, 3 pieces of 20g Milk Chocolate balls, pinch of salt, and a 1.5L Vanilla Tub Ice Cream – and follow these instructions: (1) Sift the flour, salt, and cocoa powder, then mix it all together. (2) Separate the yolk from egg whites, then whip the egg whites to peak and cream the yolk with sugar. (3) Combine milk, oil, and butter into the egg whites, then slowly add the flour mix into the bowl, after which, fold the egg yolks within the mix until every ingredient is incorporated. Ceramic mugs, or alternatively, silicone molds can be used, (4) just make sure that it is lined with butter before filling it in with the mix. (5) Fill half of the mold then put in a chocolate ball in the center, before filling it up again with the mix. (6) Make sure to gently tap the mold to let the mix set properly in the mold. (7) It only takes 1 minute and 10 seconds in the oven at medium heat. (8) Let it cool down for 1-2 minutes before serving it on a plate or straight from the mug— (9) best with a scoop of Selecta Vanilla Ice Cream on top. They could do all these and many other microwave baking recipes they could find online. All they have to do is follow the recipe and they are on their way to a great time at home indulging their favorite desserts with their family or friends. This quick and easy way of preparing and cooking food will also come in handy when the unsuspected happens like surprise guests coming over for a visit, or, the need to replenish party food on the table, Midea Microwave Ovens are there to keep things going without breaking a sweat. Creating meals fast is just one of the friendly solutions a Midea Microwave Oven offers, it’s also cost-efficient. For both manual and digital models, the microwave oven will only cost you Php1.00 on electricity per 3 minutes of cooking. That is already enough for several food items being cooked in a flash. Since cooking in a microwave oven doesn’t need much oil, the food comes with 10% less fat compared to conventional frying in a pan. Meals cooked from the Midea Microwave becomes healthier too because food that is cooked fast retain more nutrients than those cooked through the conventional method.